This colorful anatomical chart illustrates the human muscular system in full detail. 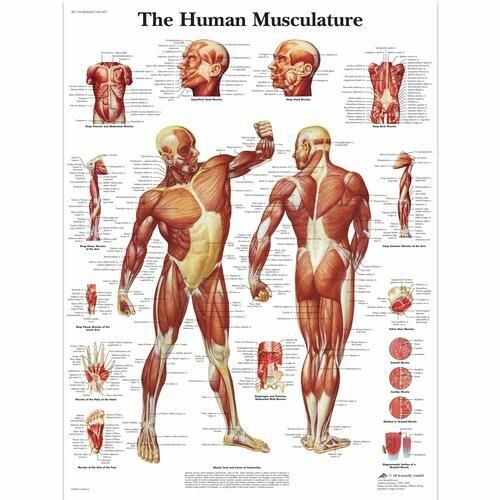 Every part of the human muscular system is labeled in this detailed anatomy poster. Hang it up in classroom or doctor's office!